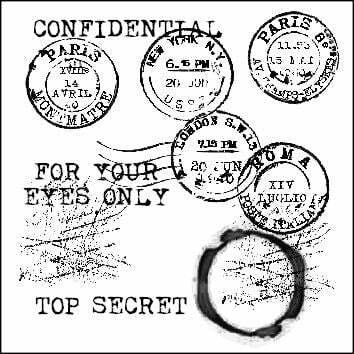 An old typewriter font has been used for this stamp. 'Thank you for sharing our Special Day'. Great for your vintage themed wedding stationery thank you cards, or use on small favour tags. Stamped area: 2.5cm x 1.7cm. 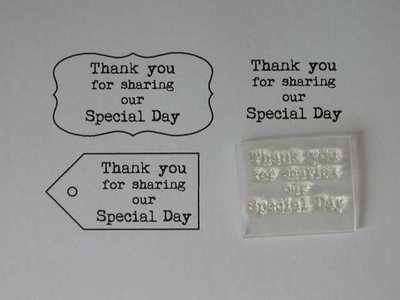 See how to use an acrylic block to use this stamp. Fits the blank tag stamp and the small bracket frame stamp.